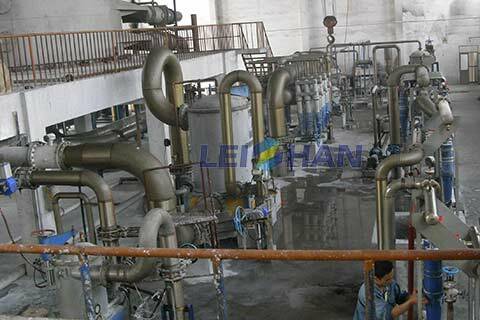 Leizhan Paper Pulp Machinery Company primarily makes first class paper pulp machine that are used in paper industry in China and around the world. 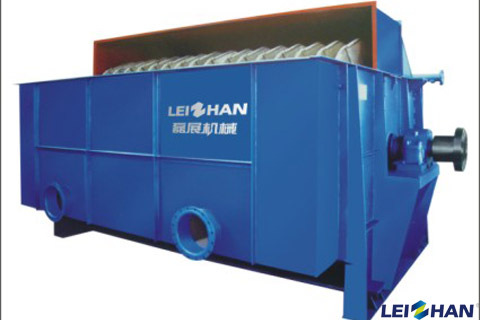 For over 30 years, Leizhan have been offering tailored paper pulp making solutions for customers based vairous raw material, capacity, and finished paper type. With superior quality products and perfect services, Leizhan has built copperation with many a customers around the world. 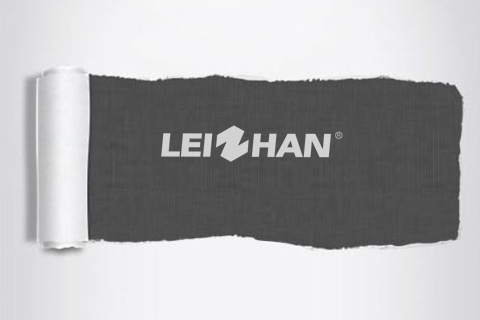 Shows Leizhan latest exhibition information, project cooperation and lastest technology for you. 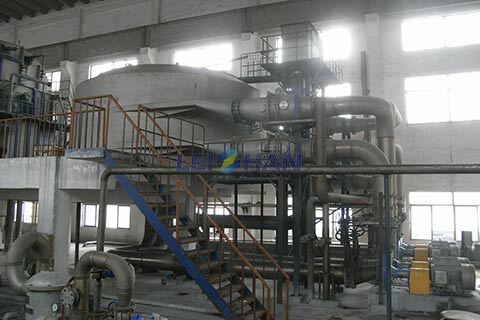 Leizhan Paper Pulp Machinery Company primary manufacture complete set of screening, slag removal, pulping and refining equipment. 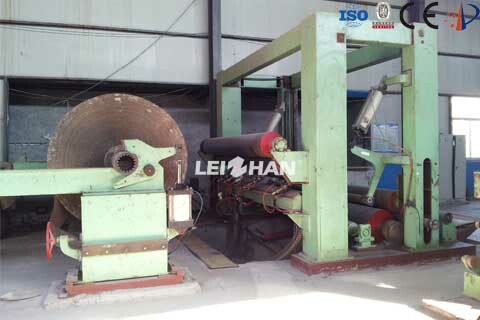 Contact Us: leizhanpapermachine@gmail.com, or call us on +86-371-55129198. As a substitute for the traditional gravity cylinder thickener, Disc Thickener apply to mechanical wood pulp, waste paper pulp, bamboo pulp and straw pulp with low freeness, shorter fiber or higher concentration. 2200mm overfeed rewinder is used for longitudinal cutting the primary paper rolls on the paper machine and rewinding them into finished paper rolls meeting the requirements of width and tightness. Through the test of paper performance under the different thickness of beating, it is found that high consistency beating is conducive to improving paper strength. 1092mm A4 Copy Culture Paper Machine can manufacture writing paper, printing paper, copy paper, etc by using waste paper or virgin pulp. 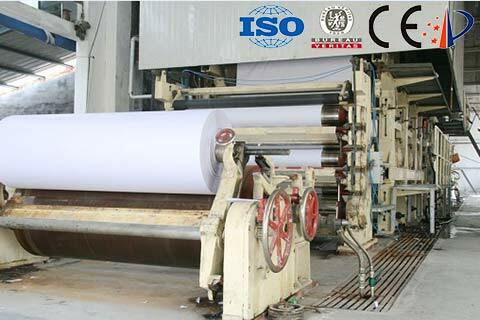 2400mm Writing Printing Paper Making Machine is to produce culture paper, A4 copy paper and writing printing paper. The whole Writing Paper Production Line includes writing paper pulp preparation system & Writing Printing Paper Making Machine. Cultural paper pulping Plant mainly includes waste paper deinking Plant & commodity wood pulping Plant. 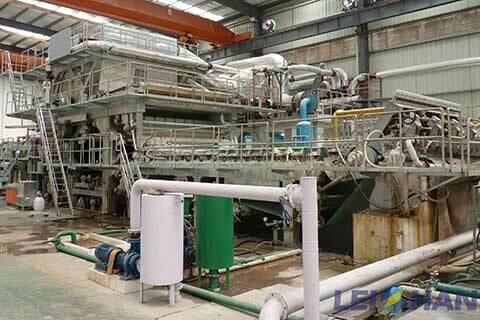 The former includes pulping, high density cleaning, coarse screen, low density cleaning, fine screen, washing, refining. Waste paper deinking process is used in cultural paper & tissue paper pulping process. It has the advantages of simple craft, lower energy consumption, saving deinking cost and high pulp yield. 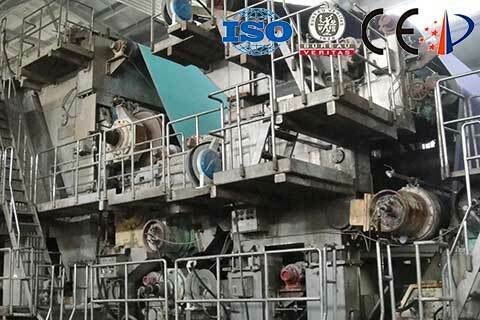 We support toilet paper machine, napkin paper machine, facial tissue paper machine to manufacture high-quality paper. 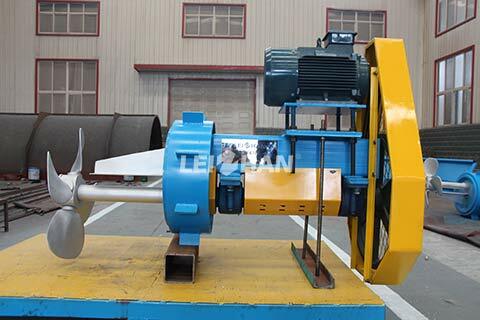 JB pulp chest agitator has high efficiency and excellent mixing performance.It is designed and produced on the base of the introduction if foreign model machine. 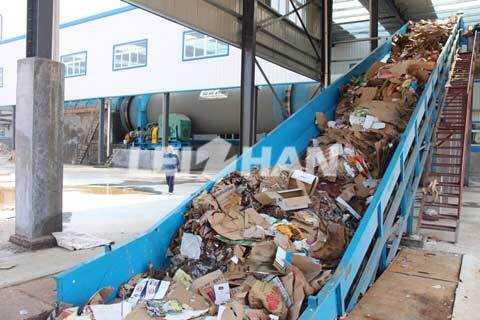 Dinking process is to recycle waste paper, paper board for removing contaminates and unwanted fibers in paper, paper board. In this way to produce fine pulp which is suitable for making paper products.